Within the last couple of days there has been some exciting news for fans of Northern Irish golf, with the announcement of Bushmills Dunes Golf Resort and Spa – a future 18-hole links golf course and hotel just a few minutes from Royal Portrush and Giant’s Causeway. It has at long last been given the go ahead, after more than a decade after the initial planning application was submitted, by Northern Ireland’s High Court. Mr Justice Weatherup dismissed a legal challenge by the National Trust which claimed the resort would have a significant environmental impact on the UNESCO designated World Heritage site. 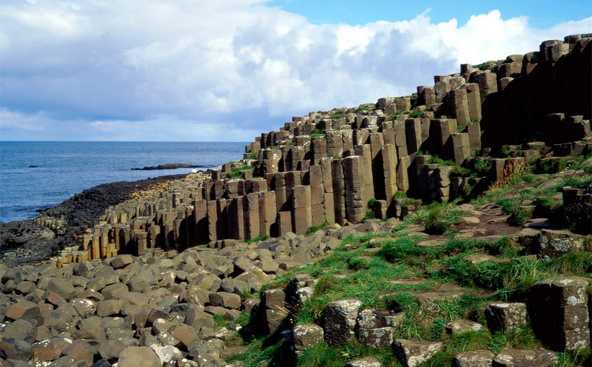 The Giant’s Causeway, an area of about 40,000 interlocking basalt columns which were the result of a volcanic eruption 60 million years ago, which is one of Northern Ireland’s main tourist attractions – is 1.5 miles away from the resort. The Giant’s Causeway is today owned and managed by the National Trust and it is the most popular tourist attraction in Northern Ireland. The new development will mean that much needed jobs and significant economic benefits will be brought to the North Coast of Ireland. The 18-hole links golf course will be accompanied by a 120 bedroom five star hotel and 70 golf lodges on the 365 acre site – to be known as Bushmills Dunes Golf Resort and Spa. Arelene Foster, the Northern Ireland Tourism Minister, said:”The decision is great news for tourism in Northern Ireland and it is great news for the economy. 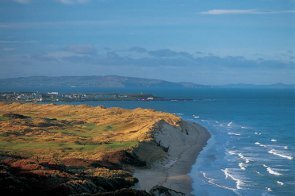 The course will be the first links golf course to be built in Northern Ireland for almost 100 years and its construction and operation should create 360 direct jobs. 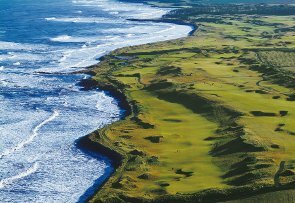 The rugged coastline of the British Isles was the birthplace of golf and that is where it will always be most at home. 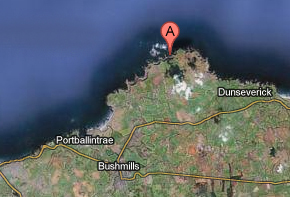 The designer that will be responsible for Bushmills Dunes Golf Resort and Spa is David McLay Kidd, his previous creations include The Castle Course at St Andrew’s, Bandon Dunes Golf Resort in Oregon, the TPC in San Francisco bay and Machrihanish Dunes across the Irish Sea in Scotland. The Scottish designer has also mentioned that the complex will be environmentally sensitive – which should at least be some reconciliation for the opposition that refuted the plan to design the resort in the first place. 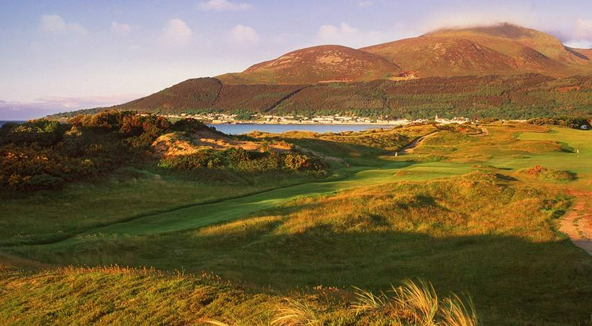 The course aims to compete in quality with the likes of Royal Portrush and Royal County Down – both of which are ranked among the top ten golf courses in the world and consistently attract golfers from over the world year on year. So if the ambitions of the course designer are anything to go by we should be in for a real treat when the resort is completed by the end of 2015. 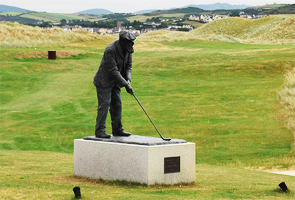 The layout at Royal County Down was devised by Old Tom Morris, whose name will forever be inextricably linked to St Andrews, and is a pure test of links golf. 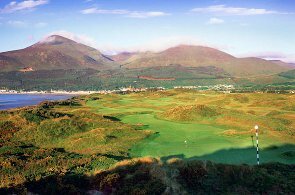 If you’d like to try out the best golf courses that Northern Ireland has to offer before the completion of Bushmills Dunes, then head over to YourGolfTravel.com – where you can book packages from as little as £165 to Royal Portrush and Royal County Down. Print article This entry was posted by Jerome on March 1, 2013 at 5:03 pm, and is filed under General. Follow any responses to this post through RSS 2.0. You can leave a response or trackback from your own site.